Staffordshire is a vibrant West Midlands county, home to over 800,000 people, and over 60,000 businesses. Staffordshire boasts such iconic attractions as Alton Towers, Drayton Manor Theme Park, Uttoxeter Race Course, Trentham Estate and Monkey Forest, Lichfield Cathedral, RAF Cosford Museum, Churnet Valley Railway, The National Memorial Arboretum, Cannock Chase, and Wedgwood Visitor Centre. There is truly something for everyone. Key regions within the county are the cities of Stoke-on-Trent and Lichfield, and the major towns like Stafford, Newcastle-under-Lyme, Burton upon Trent, Leek, Cheadle, Rugeley, Stone, Uttoxeter, and Tamworth. 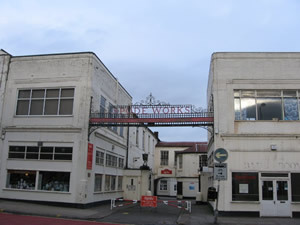 Staffordshire is famed for its pottery history, boasting such companies as Wedgwood, Spode, Moorcroft, and Aynsley originating from the area. In addition to pottery, Staffordshire is home the the brewing mecca that is Burton upon Trent, producing the likes of Martson's, Worthington, Carling and Bass - and, love it or hate it, the brewing process derived Marmite.